Our mission is to improve the health and survival of the Northwest's most vulnerable babies. The mission of Northwest Mothers Milk Bank (NWMMB) is based on the belief that every baby deserves access to human milk. Community, health, compassion, integrity, and generosity are the values that guide the work we do. NWMMB was founded by a group of passionate healthcare professionals who, through dedication and hard work, increased public knowledge and acceptance of donor human milk use. 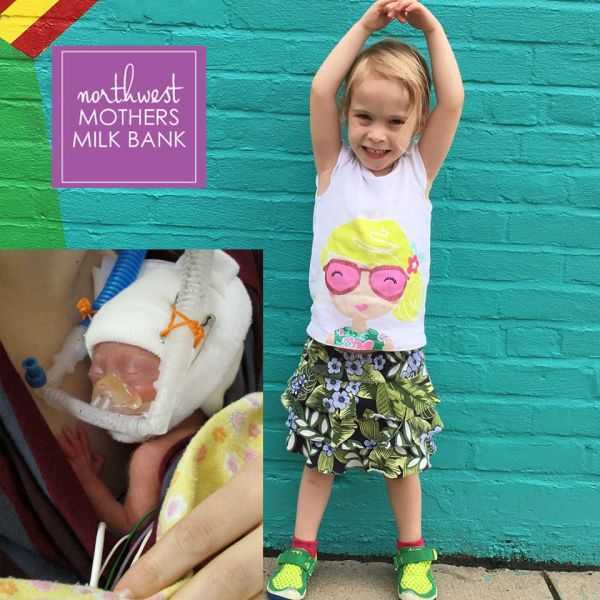 Receiving both financial and in-kind support from local organizations and individuals since its inception in 2008, Northwest Mothers Milk Bank has grown into a thriving milk bank after opening its doors in 2013. Now, a group of dedicated staff and volunteers carry out the mission through the safe collection and distribution of donor human milk, education, advocacy and research. Since opening 4 years again we have dispensed over 650,000 ounces to fragile infants across the Pacific Northwest. We never imagined the support and commitment that Oregon and Washington have shown for breastfeeding and milk banking. Community support is at the heart of our mission, just during 2016 we screened and approved over 540 milk donors. These moms have given time, energy, and passion to enable us to serve 65 hospitals, reaching thousands of preterm and medically fragile infants. As well as, providing 827 outpatients with the highest quality of pasteurized donor human milk. Northwest Mothers Milk Bank has been able to make a difference in many lives, including those of Baby Miranda and her family. Baby Miranda weighed only 1lb 2oz at birth. Due to a stressful delivery and extreme prematurity, Miranda’s mother’s milk was not immediately available. Miranda spent the first 80 days of her life in the NICU. During this time, NWMMB provided Miranda with safe, pasteurized donor milk. The donor milk she received in the NICU was the foundation for her healthy and steady growth, and supported her while she recovered from preterm complications, including a hole in her heart. Miranda is now a healthy, happy, and four-year-old. Miranda is thriving! Once Miranda was home Anna, her mom, was able to donate some of the milk I pumped during her hospital stay to the NWMMB. We are grateful to live in an area that supports families in need of breast milk for their sick babies. There is high demand for pasteurized breastmilk in the Northwest, and NWMMB works to quickly distribute it to as many infants as we can. Ongoing donations are greatly needed, and they help us achieve our goal of providing this lifesaving resource to every baby in need! • In good health and able to breastfeed, with a surplus of milk. • Currently lactating and have given birth no longer than one year ago. • Willing to undergo a thorough health history screening and get free blood testing for communicable diseases. • Able to donate at least 100-150 ounces of milk, unless you are donating after the loss of a baby, in which case we will gladly accept any size donation. There are 4 easy steps to donating milk. 1) Visit us as donatemilk.org or call 503-469-0955. 2) Have your blood tested at no cost to you. 3) Deliver your frozen milk to one of our many Milk Drops. 4) Know that you are making a difference. Milk donors are heroes, saving local babies drop by drop. If you are interested in donation milk in Oregon or Washington please visit https://www.donatemilk.org/give or call us at 503-469-0955. If you live out of the Pacific Northwest, connect to the closest milk bank in your area at https://www.hmbana.org/locations.